We offer three options for nurses seeking their doctoral degree. If you are looking to advance your nursing career to the highest level as a Nurse Practitioner, we offer a Post-Baccalaureate Doctorate in Nursing Practice (DNP) program, as well as a Doctorate in Nursing Practice (DNP) program for registered nurses who already have their master’s degree. For nurses who are looking to make strides within research and academia through their expertise as a nursing professional, we offer an interdisciplinary Doctor of Philosophy in Nursing (PhD) program where students take classes within Barry University’s School of Education and the College of Nursing and Health Sciences. 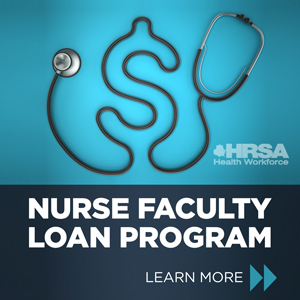 If you are an RN with a bachelor’s degree in another field or currently hold a Bachelor of Science in Nursing, and would like to advance your nursing career as a nurse practitioner, the Post-Baccalaureate Doctorate in Nursing Practice program will allow you to earn both your Master of Science in Nursing as well as your Doctorate in Nursing Practice within four years. Our Doctorate of Nursing Practice (DNP) program is for nurses who have already obtained their Master of Science in Nursing. This program allows you to complete the DNP program within six semesters (two years) plus the completion of the Capstone project. Our Doctor of Philosophy in Nursing (PhD) program is for nursing professionals who are interested in becoming researchers or educators in the field of nursing. Students can pursue their PhD within one of our cohorts throughout Florida, which include Miami Shores, Palm Beach and Orlando. If you've got questions about our Doctoral Nursing Programs please complete this formand we will be happy to assist you.